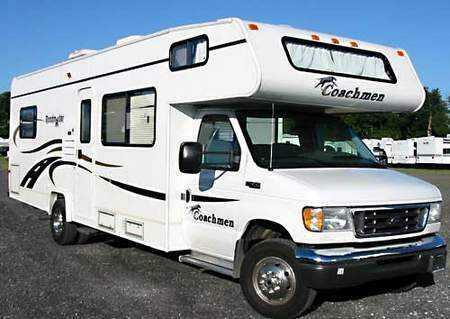 Well, gonna try to post what's going on - Traveling and just having fun with RoadAbode, our 2004 Class C Coachmen RoadMaster, puchased in November of 2004 at Hitcharama. She was previously a Rental, and after checking out a few of her sisters, decided RoadAbode was the one for us. She is basic, no "slides", No Auto Levelers, But plenty for our family of four to get started with. Oh - want to see a real RVer? Check out Tioga and George!